Responsive website design & build for Ever-est, a virtual research environment. 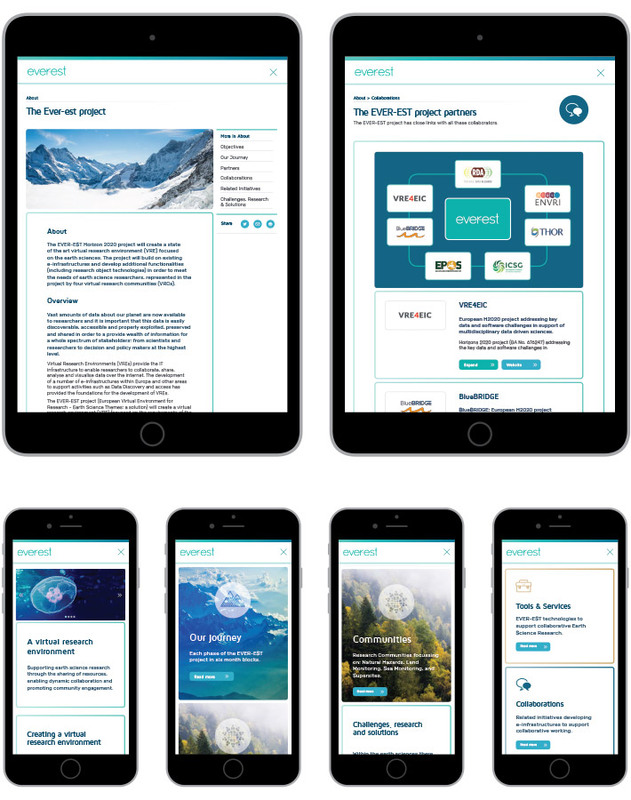 Working with the British Geological Survey, we produced the Ever-est website for their partners the European Space Agency. 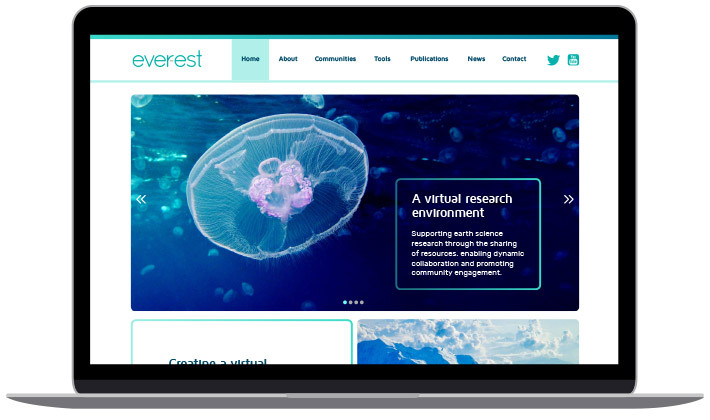 “Grand Creative were asked to create a website for the EVER-EST project that is developing a virtual research environment (VRE) to support collaborative working in the Earth Sciences. Richard McBurney immediately took on board the various aspects of the project and the specific messages the EVER-EST project was seeking to convey via the website. His imaginative and clean designs reflected a clear understanding of the aims of the project and its scientific objectives. 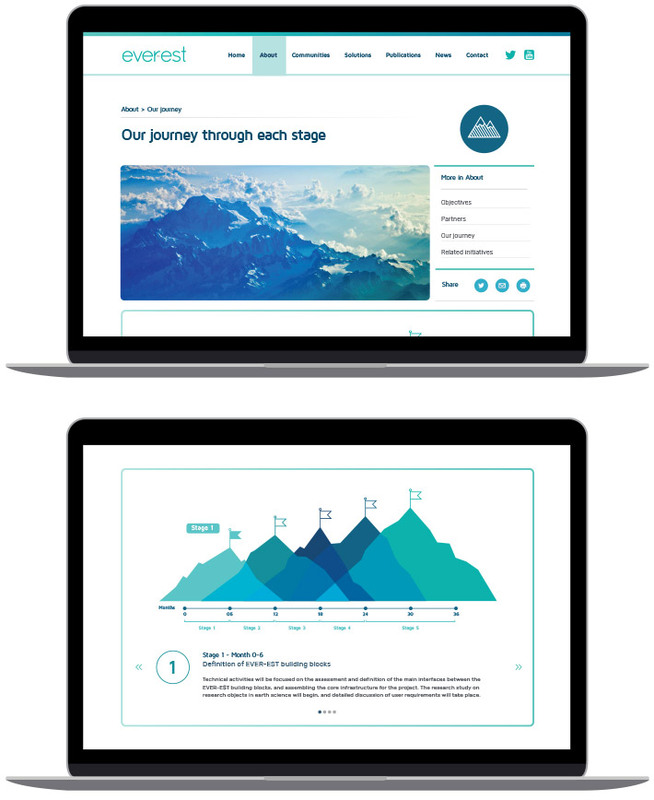 Grand Creative successfully incorporated the diverse aspects of the EVER-EST project into a highly effective website that succeeds in communicating to the target audience on several levels from the casual visitor to the technical expert.